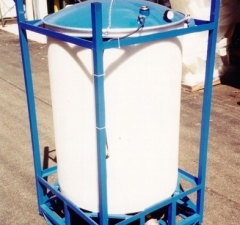 The low pressure piston bins are designed for more viscous products such as No. 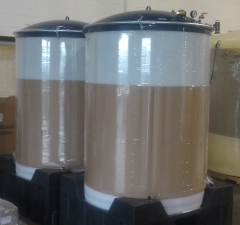 3 grade lubricating greases, polymers, silicones and peanut butter. 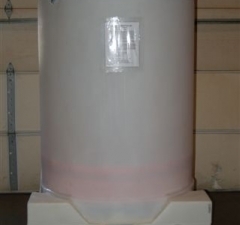 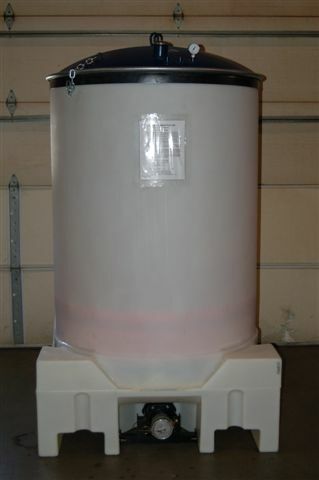 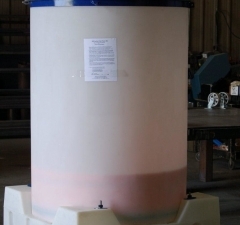 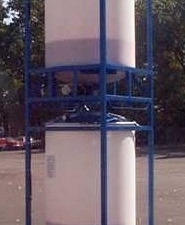 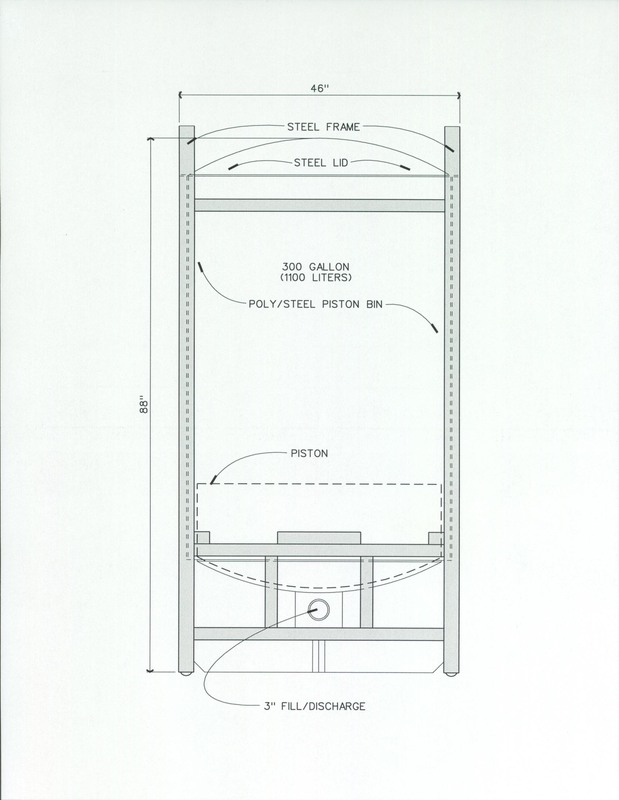 This version of our piston system includes a top steel lid that is securely attached to the polyethylene tank. 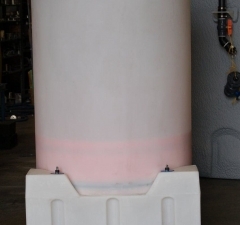 Air pressure up to 5 psi is added above the piston to help force the material out of the bin and into a pump. 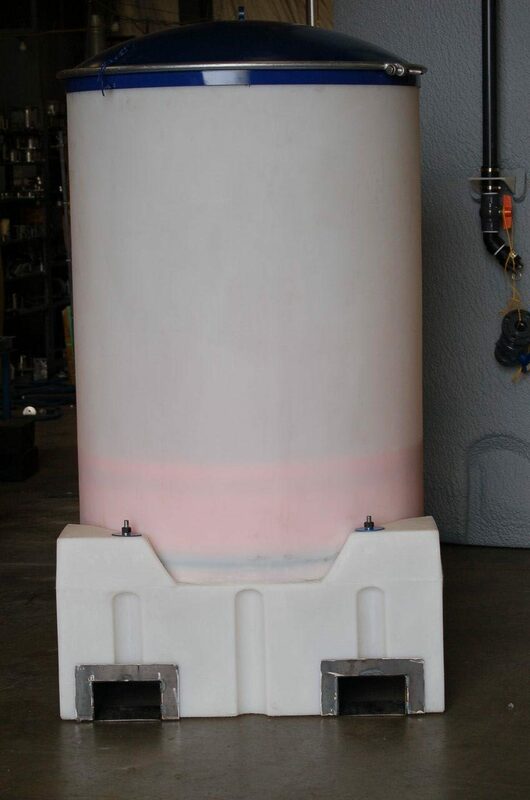 Nitrogen can be used in place of factory air to maintain pressure above the piston and to protect products, such as silicone from curing. 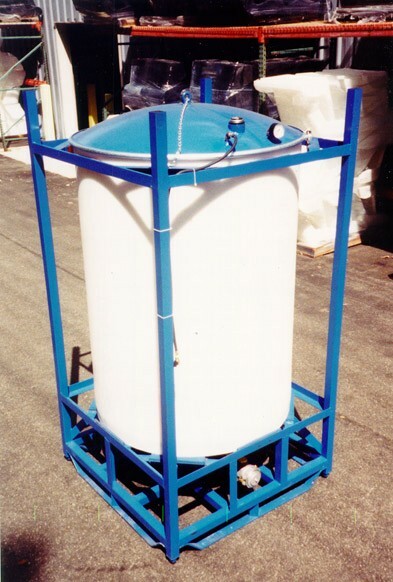 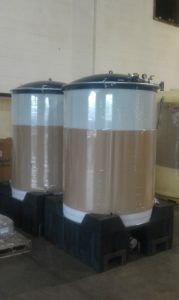 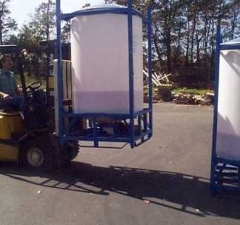 We now offer a lower cost design that uses a poly pallet to support the tank and eliminates the costly steel frame. 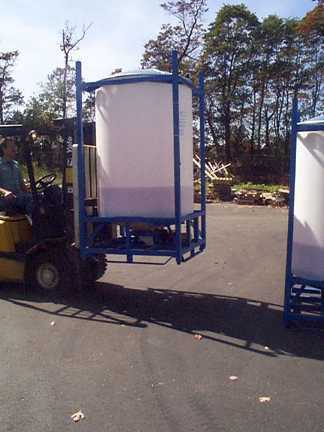 The new pallet is 46″ square with 2-way fork tubes. 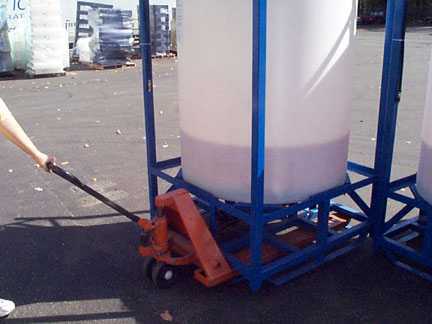 It is rugged and durable and will fit side by side in standard 20′ and 40′ ISO shipping containers. 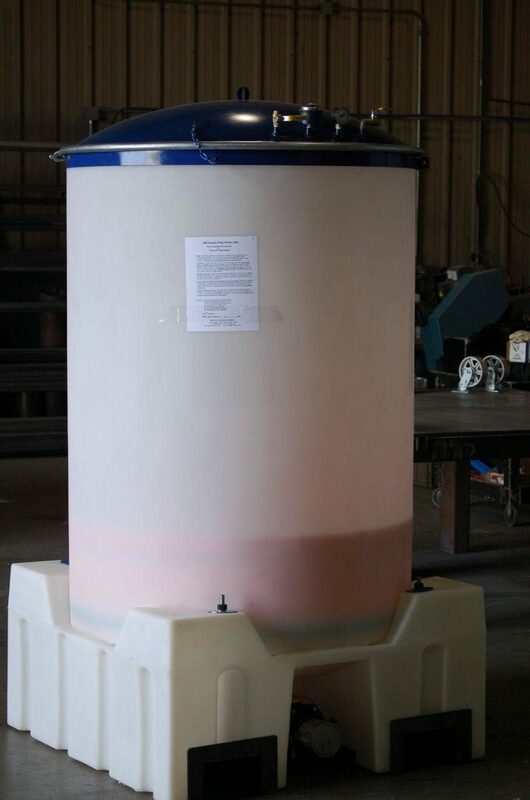 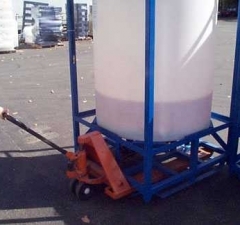 By using the poly tank and piston, the material volume is easily seen and the net tare weight of the piston bin is reduced. 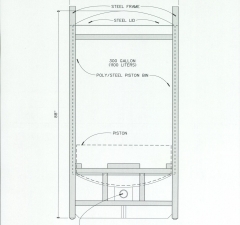 By adding a steel frame, the medium viscosity piston bin becomes stackable with 4-way handling.